Subway has a new promotion! Get their delicious do for only $5.99! 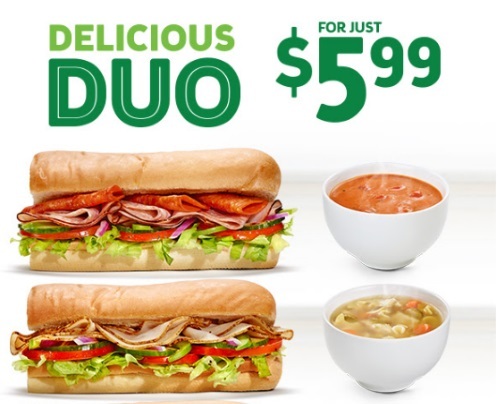 Choose a 6" sub including the Italian BMT, Turkey Breast and Meatball Marinara.and get an 8oz chef-inspired soup. Offer is available for a limited time at participating locations.